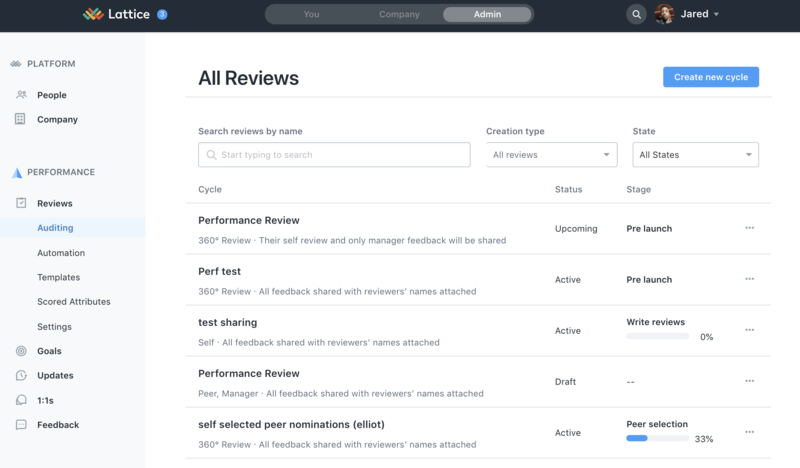 If you created a review cycle and you want to change it's name, you can do so even after you've launched the review! On the left, you'll see "Create Cycle" greyed out. It's greyed out because you've already gone past this stage. 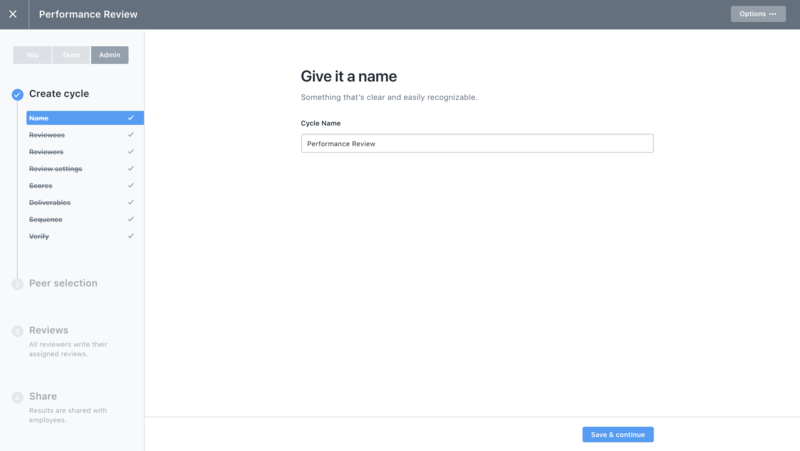 Step 4: Click back into "Create cycle"
Step 5: Click "Name" found under "Create cycle"